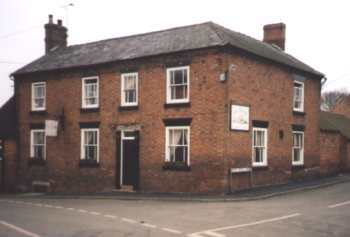 The Anchor is the only watering hole to serve the small Leicestershire village of Plungar in the Vale of Belvoir; within just a short staggering distance of a restored Grantham Canal. Local hearsay has it that a building originally destined to be “The Anchor” was built alongside the canal itself over a century ago but, being out of the village centre, the original location was ditched in favour of converting a row of four terraced houses into the pub instead. Nevertheless, it retained its nautical name! The chosen building dates from 1774 and has seen a few changes over the years! It once served as the local courtroom – presumably meting our justice to those the worse for drink! After it’s conversion from dwellings the inn remained much the same until new owners took over around six years ago and – despite a storm of protest from Plungar residents renamed it “The Belvoir Inn”. The pub went into steady decline, it was allowed to become shabby, no food on offer, even the beer ran out on occasions, and all but a handful of locals deserted it. Villagers feared they would lose their only licensed house until current owners Mark Taylor and Kevin Robinson came to the rescue. They bought the pub in April 1998 and give it back its rightful name as well as a new lease of life. After the installation of gas and a refurbishment programme “The Anchor” now serves a good variety of food both at lunchtimes and evenings as well as three hand-pulled ales at its well stocked bar. Pub purists may not like the knocking down of the interior walls and the slightly “country kitchen” décor, although most of us like it a lot, and now the place is buzzing, not just with locals but customers from much further afield as well. Mark is very much in favour of restoring the Grantham Canal for boaters; “I walk the dog along it – but that’s all it’s fit for at the moment.” Let’s hope that the extra “passing trade” won’t be too much longer in coming!